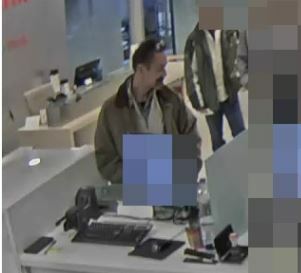 BELLEVILLE – Quinte West OPP are seeking the public’s help in finding a man involved in a bank-fraud case. The man entered a Quinte West bank on Dec. 21 and used fake identification to secure a new debit card for another person’s account, the OPP say. He then made several withdrawals from the account at locations in Quinte West and Belleville in both Canadian and U.S. currency. The man returned to the same bank on Dec. 27 in an attempt to open a separate account. When the bank refused his request, he fled the scene before police arrived. The suspect is described as white, about six feet tall, with short dark hair beginning to grey and a moustache and goatee. 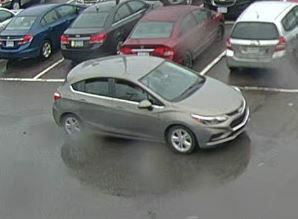 He was driving a Chevrolet Cruze hatchback made between 2016 and 2018, police said. Anyone with information is asked to call the Quinte West OPP at 1-888-310-1122 or Crime Stoppers at 1-800-222-8477. Anyone who calls may be eligible for a $2,000 reward.